Oooo I need to read The Best Man Keertana! It sounds like it's antagonistic relationship to start and you know how much I love those! Plus I've heard amazing things about Kristin Higgins' books, so I really need to give her a try. I'm a huge fan of Sarah MacLean though, I'm so glad you loved Nine Rules! 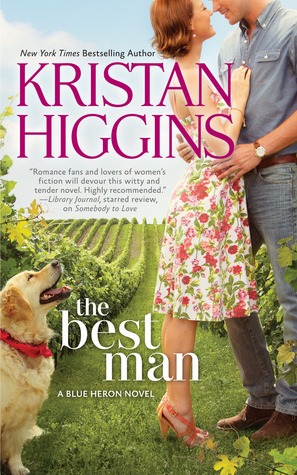 The Best Man was my first Higgins and I really enjoyed it, finding myself laughing out loud even in public during certain parts of the book. I'm really excited to continue with the series and even beyond this series and read more of her work because it does seem a bit lighter than other adult contemporary romance (which I still love). I've never read any historical romance unless Outlander by Diana Gabaldon counts - but I'm talking about the romances with the covers like you have pictured down below - I'm not sure how much I'd enjoy them, but I won't know unless I try one at some point. I have A Certain Slant of Light on my shelves but to be honest, I'd forgotten about it until I saw it here on this post! I think I feel similarly to Melissa in that I didn't realize that the characters are adults in teenage bodies - although I'd still read it and see how that plays out and see how the author handles it. Great reviews, Keertana! These are almost like three regular reviews in one! I adore Sarah MacLean's books!! They're so fun and the type of historical romance I looove. I'm glad you enjoyed it as well! Looks like the romances win in this set of reviews. Oh I do want to try a Higgins novel because they have pets in them. I enjoy that. I've heard that a Certain Slant of Light is hard to connect. Too bad, it looks like it could have been stellar. Girl, I really don't consider these mini-reviews to be actual mini-reviews yet, haha. ;) You're getting better though, and of course, they were fun to read as always! The Best Man sounds like a very complex story, and I'm loving the sound of the family relationships, as I LOVE those in books. It's also so interesting that Faith and Jeremy actually end up having a friendship, because my initial assumption was that she would be super angst y about it. (I probably would have been too!!). A Certain Light just sounds... meh. Very much so. There seem to be some interseting questions of morality raised, but it doesn't seem to have the depth that I look for in these kinds of stories. I think I'll be passing on this one. Nine Rules to Break When Romancing a Rake (I laughed so hard when I originally saw that title, hahaha) (yes, I have my immature moments) sounds like a great romance! I must admit, I'm not the biggest fan of the cover though, but it's good to see the inside is far better. The MC sounds like one I would absolutely adore for her strength and refusal to stay within the confines of society. I read A Certain Slant of Light years ago when it came out and absolutely loved it, but my taste has changed so I wasn't sure what I would think of the companion. I ended up really loving it though. 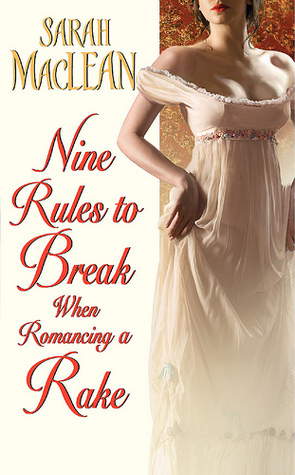 I'm not a big romance fan but I've had Nine Rules for years and it actually sounds really good! So happy to hear Sarah Maclean was a success for you! I discovered her this summer and she was EXACTLY what I needed. I hope you're planning to check out her Scoundrels series, too, which is just as good IMO. The Best Man sounds wonderful! I would want to strangle Jeremy for wasting 8 years of Faith's life, though! I love audio books but one drawback is that you can skim and speed read through bits that are boring you. Something you could've benefited from doing in the beginning it sounds like. 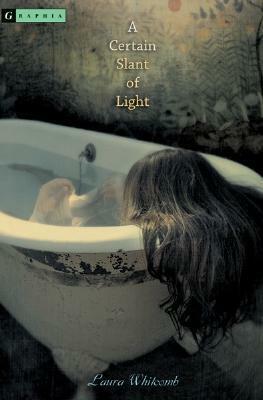 A Certain Slant of Light sounds like an original premise, and I'm intrigued. I actually have a copy of the second book. Another historical great?! I'll have to investigate further! Oh the travesty! 3 stars to ACSOL and 4 to a historical romance! Hah, I totally understand, though. You gotta go with your enjoyment/gut feeling. I'm sorry you didn't enjoy SLANT as much as I did. It's a difficult book for a lot of readers, and if you aren't a fan of the writing style and themes, I can see why it'd be hard to connect with. Have you read Sarah MacLean's YA novel THE SEASON, by the way? Frothy and fun! Did you know you can shorten your links with Shortest and get cash from every visit to your short links.